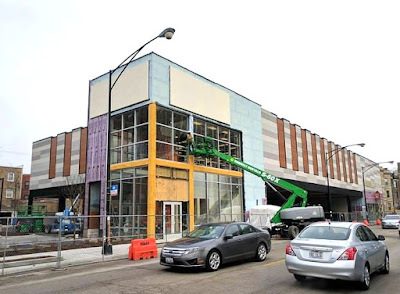 Last week, construction machinery was in place putting the final touches on the future Ross Dress For Less building at 918 West Montrose. Pretty quick work, considering that demo of the previous property at the site began last April. If you know anyone who's looking for a retail job close to home, let them know there's a "Now Hiring" banner up on the front of the store. We didn't see anything about the new store at the website on the sign (www.rossstores.com), nor any mention of an opening date, but according to Ald. Cappleman's newsletter, Ross is projected to open in the spring. 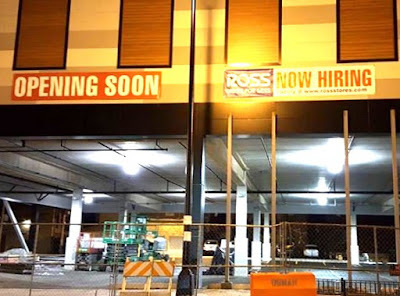 Update: The Ross website now has jobs at 918 W. Montrose listed on their site. Apply for a retail associate here, and as area supervisor here. That's moving along nicely. Went by a few weeks back and the insulation was up. It will be a nice addition to the neighborhood. Can we all write to Potbelly's so we can get them to put one of their restaurants in the retail spaces available under the Ross. I think that would be a great location and addition to this area. 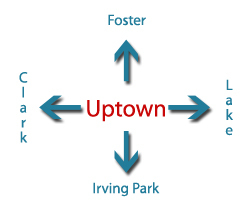 We are in need of a good sandwich restaurant here in Uptown. Please help me in reaching out to Potbelly's so they know we welcome there here. Oh I'm definitely aware and do go often to Ba Le. 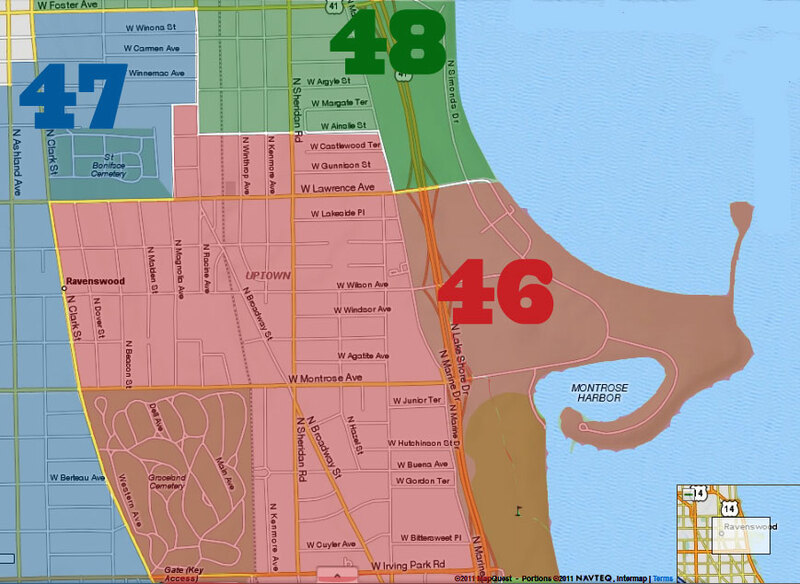 We just need one closer to the immediate area of montrose and Broadway. Plus I'm just hoping that the retail space under the Ross is not occupied by another mattress, cell phone store or another bank branch. A Potbelly's would be great at this location especially with gym across the street. They have good salads as well.